The Montecristo Especial No.2 is a great option for a smooth Cuban medium cigar. • Not overly complex, mainly cedar flavors, with some cocoa, nuttiness and just the right amount of spices. • Smooth smoke, long finish. Creamy and spicy on the retro-hale. This cigar simply delivers a great Montecristo experience, a perfect way to discover the world of Habanos. The cigar has a beautiful appearance with its nice applied pig tail cap. The cigar is tightly packed; there are minimal veins on the wrapper. The wrapper is not too smooth but has a pretty milk chocolate brown color. The aroma coming from the wrapper at cold is mainly of cedar, there are also scents of leather and of floral characteristics. The cold draw also gives some woodsy flavors with some noticeable leather notes. Once cut, the draw is great, with just a slight resistance, exactly how it should be. It remains optimal throughout the whole smoke. It gets lit easily and has no issue of staying alit. The burn is razor sharp from the start and remains impeccable until the nub. The first puff gives pretty strong flavors, with a dominant of woodiness, with some spiciness and some notes of coffee and of chocolate in the aftertaste. After a first powerful first draw, the Montecristo Especial No.2 settles down towards a medium level. The first third of the cigar is pretty smooth and dominated by woody flavors, with some dry hay. Some faint notes of earthiness and cocoa are also present. The mouth feel is very pleasant, not overpowering. The finish is long and nice. There is some nuttiness on the retrohale, with some hints of spices. The ash builds on firmly at the foot with a light gray color and stays on for approximately 2 inches before falling off. Overall, the first third is not overly complex but very enjoyable. 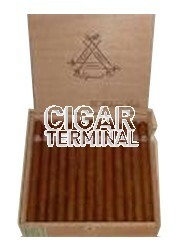 In the middle third, the cigar gains more body, it is now around a medium and medium-to-full body. 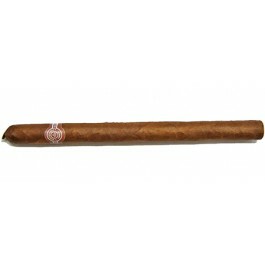 The flavors do not evolve too much compared to the first one, and are still typical Montecristo. Still plenty of cedar, cocoa, slight earth but no more sweetness from tobacco, with the addition of some more spiciness. The aftertaste is no longer as chewy and rich, but still nutty. Overall, the middle of the cigar is still very smooth. In the final third, the burn remains sharp and the Montecristo Especiales No.2 doesn’t go out, however, it has to be smoke slowly in order to reveal its full potential and not overheat. The strength ramps up slightly, there are now even more nuts and earth alongside the dominant woodiness. The mouth feel remains clean, with no harshness. Slight toastiness towards the nub. In summary, the Montecristo Especiales No.2 is a very smooth and enjoyable cigar. It never gets too powerful, the balance among the flavors is spot-on, despite not being overly complex. If you are looking for a reliable and good medium bodied cigar, look no further, Montecristo once again scores a home-run with the Especiales No.2.